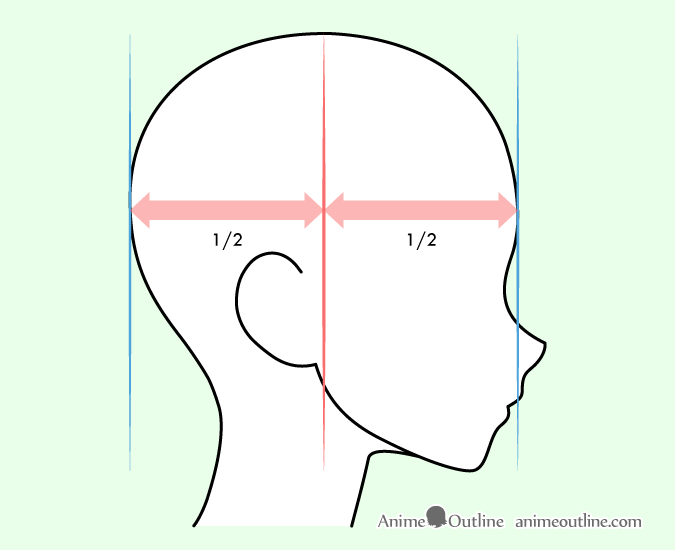 This quick tutorial illustrates how to draw anime and manga ears from the side, front and back views and explains where to place the ears in relation to the head. Anime and manga ears vary in styles from more realistic to very simplified but there really is not one defining way to draw them. It is also difficult to have clear guidelines for drawing ears in general because of their irregular shape. 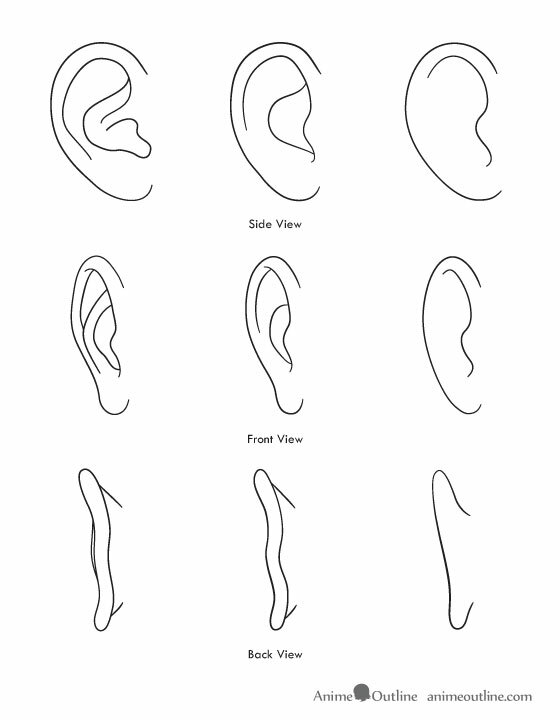 One good thing to do is to simply look at some examples as shown in this tutorial or at photos of real ears if you are going for a more realistic style. 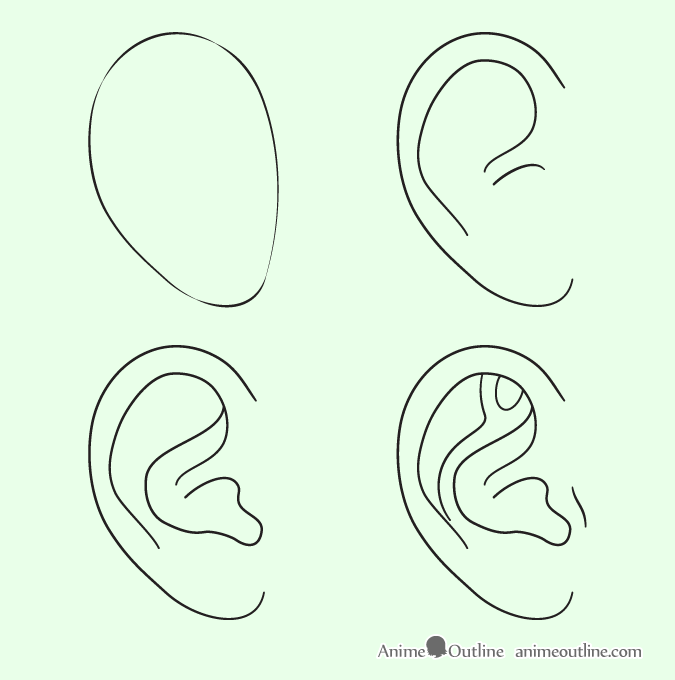 When drawing anime ear from the side view it may be helpful to think of it as an oval or an egg that is tilted to one side. The above example is for a more realistic/serious anime styles that tend to draw the ear closer to traditional art. Other styles can simplify the ear to to just a few lines. Anime ears tend to be drawn lower down on the head than real ears. 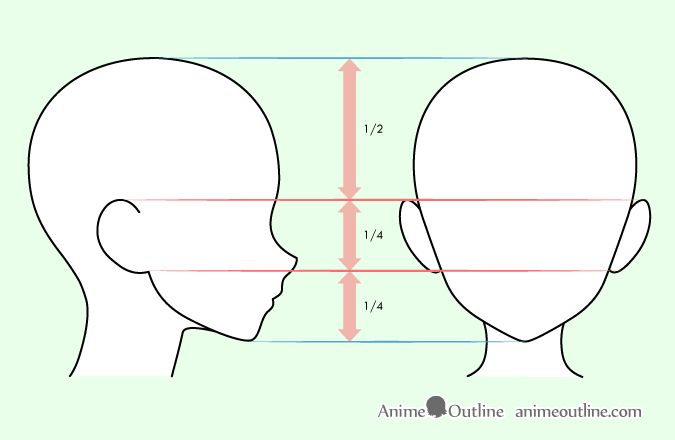 One way to place anime ears on the head is to first draw a horizontal line through the middle of the head and then to draw another horizontal line between that line and the chin. Draw the ears between these two lines. 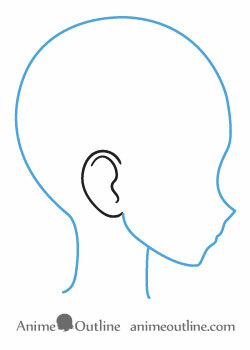 For vertical placement draw a line down the middle of the head and draw the ear a little bit to the side of that line. If you want to draw smaller ears you can move them slightly down from the top line. 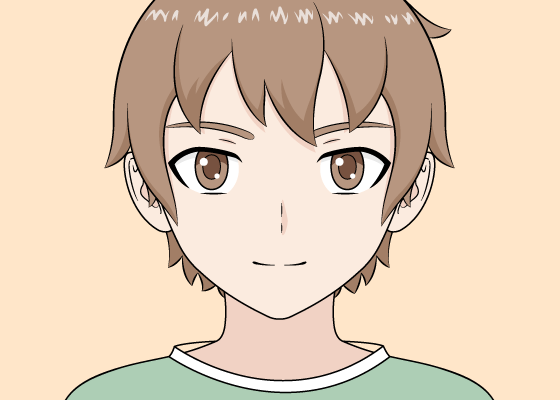 For more stylized or “chibi” anime heads you can draw the ears even lower down on the head. For horizontal placement draw the top of the ears close to the bottom of the forehead and the bottom of the ears close to the bottom of the nose. Sometimes anime and manga ears are drawn very close to real ears and sometimes they can be highly simplified depending on the anime style the artist is going for. The placement of anime ears can also change accordingly.